The friends of Harrison Hills Park began with a group off 5 volunteers in 2005 authorized by Allegheny County Council to serve as eyes and ears for the community. Today we total 7 members meeting monthly in the ELC to plan future activities. At the outset the Friends identified 90 individual problem areas to be addressed. The list of projects included park road and grove directional signage, the new Watts Overlook, park benches etc. Bob Barrage, a lifetime Scoutmaster started GPSing Harrison Hills Park in 2002 in search of possible trails. He produced an incredibly detailed colored map. The map shows topography, all buildings, roads, parking lots, shelters, restrooms and trails. He was willing to freely share his 3 years of work with the Friends. Seven trails totaling 14 miles were cleared, blazed, trails color coded, and trail head signs installed. Thousands of copies of the map had been distributed since 2007 to hikers and bikers. On October 3 2006, the Watts Memorial Overlook was dedicated by the Friend and Allegheny County. It was a only $10,000 investment that the newspaper described but has a million dollar view. 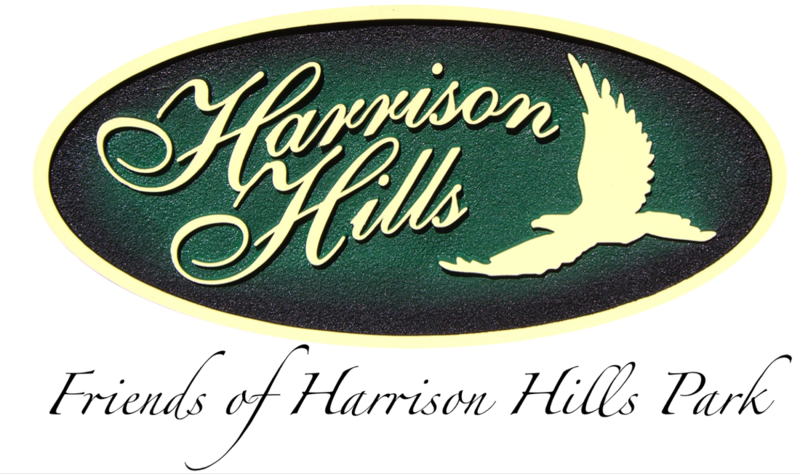 It signified the beginning of a new relationship between the County and the Volunteer Friends of Harrison Hills Park. Early in 2007 the Friends volunteers began working of rehabilitating the original Gross Family farm house. After 1 1/2 years of work and great expense the ELC now offers the only ADA compliant indoor toilet in the park, wildlife and nature exhibits, a presentation room for group classes, providing year round opportunities for experts and the community to come together for all age groups. The ELC opened in May 9, 2008. Encouraged by our success with the ELC, we applied successfully for and won a grant to build an Outdoor Classroom in the empty space behind the ELC. June 4 2009 the Friends met with a landscape architect to develop the design and began working on construction. Lead by the Friends Group, many community volunteers and supported by County Parks staff the first phase was completed in less that 2 years. Since then the Scouts of completed 5 projects inside the classroom.